9 June 2017 marks World Accreditation Day as a global initiative, jointly established by the International Accreditation Forum (IAF) and the International Laboratory Accreditation Cooperation (ILAC), to raise awareness of the importance of accreditation. This year’s theme focuses on delivering confidence in construction and the built environment. To help explain the use of accredited conformity assessment, the Public Sector Assurance website www.publicsectorassurance.org has been established to showcase different global examples where accreditation has been used to support construction and the built environment. 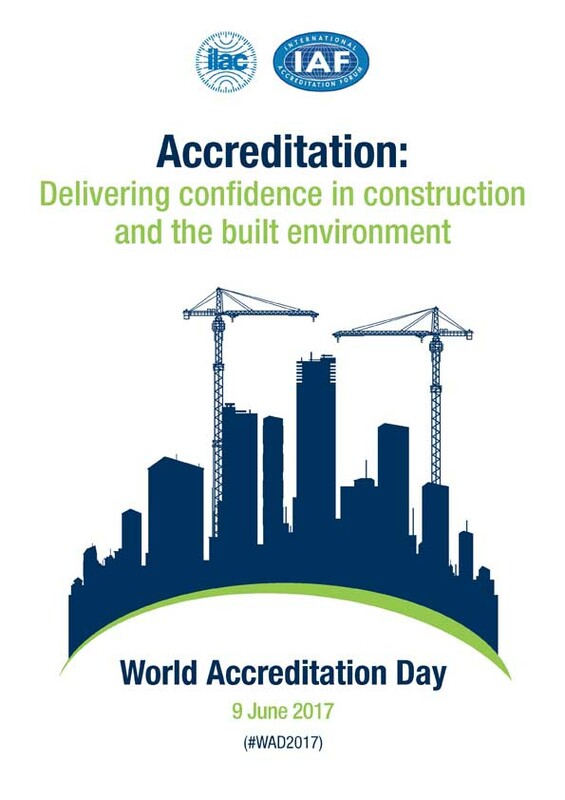 As in previous years, the day will be celebrated across the world with the hosting of major national events, seminars, and press and media coverage, to communicate the value of accreditation to those working in the sector including building owners, operators, contractors, manufacturers, designers, architects, and structural and civil engineers. As well as demonstrating how accreditation is used by policy makers, local authorities and regulators to support construction-based regulation, environmental protection, public safety, fraud prevention, public trust and innovation. The Chairs of both organisations have released a joint statement to introduce the importance of the theme and how accreditation can support those working in the sector including building owners, operators, contractors, manufacturers, designers, architects, and structural and civil engineers. It also sets out how accreditation is used by policy makers, local authorities and regulators to support construction-based regulation, environmental protection, public safety, fraud prevention, public trust and innovation. A brochure has also been produced to include examples from around the world to demonstrate how accredited testing, inspection and certification is being used to provide suppliers, purchasers and specifiers with assurance that construction projects run efficiently, construction sites are safe and reliable materials are used. The 2015 ILAC MRA Annual Report was published and is available on the ILAC website. The report sets out the activity that is carried out as part of the peer evaluation process, developments in accreditation over the last year, new and revised publications, and signatory status updates from 2015. You are encouraged to share the report in print format or electronically with your national Regulators, specifiers and businesses that rely on, or could benefit from, the ILAC MRA.